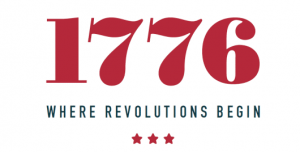 The musical 1776, follows the events and the progress leading to the Declaration of Independence. The year, as the name clearly expresses, is 1776. It is the dramatization of the efforts put forth by John Adam, member of the Second Continental Congress, as he tries to incline his colleagues towards him in getting convinced to sign the Declaration with him and persuade all other colonies as well to do so, in order to free America of British supremacy, since it is no one man’s job. This time around, the EDGE theatre company, under its constellation project, is again preparing to present the show and is left to cast for the main four characters that are the driving factors behind the Declaration. The musical attempts to reveal to people the hidden insecurities, fears and uncertainties of apparently very confident and self assured men of importance who take up righteous causes and while they relentlessly pursue them, become noble in the end. Read on for casting specifics to see if you would be a good fit for this production! On the 24th of May between 7-9 pm, call backs will be done to confirm the ones who are selected. Rehearsals are in July and august, dates depending on the availability of the actors selected for the main roles. The play opens September 1st, 2016 and runs through September 17th. Another round of shows will take place between November 9th and 11th. Hamburger Mary’s theatre is the venue for all the performances. You are encouraged to submit your application online on edgeoforioncasting@gmail.com and the application must contain your resume, your dates of availability both for auditions as well as call backs, and a head shot.